The Battle of Vimy Ridge, France over four days in early April 1917 was not just a victory for the Allies during World War I. The battle also served as a shining example of Canadian national pride as the overwhelming Canadian-led force was able to stand on its own for the first time without British leadership on the field against Germany. The decisive capture of the German lines at the ridge would hold this section of the Western Front for the Allies until the end of the war. 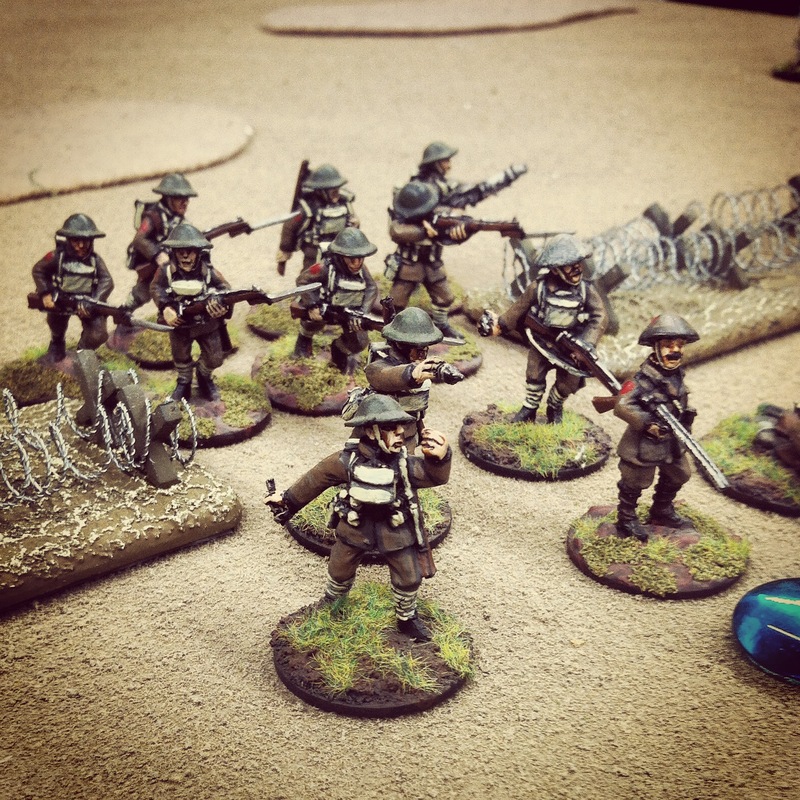 This past weekend at Metropolitan Wargamers we finally got some WWI gaming in with a quick scenario modelled on the Canadian exploits at Vimy Ridge with the Price of Glory rules from Iron Ivan Games. 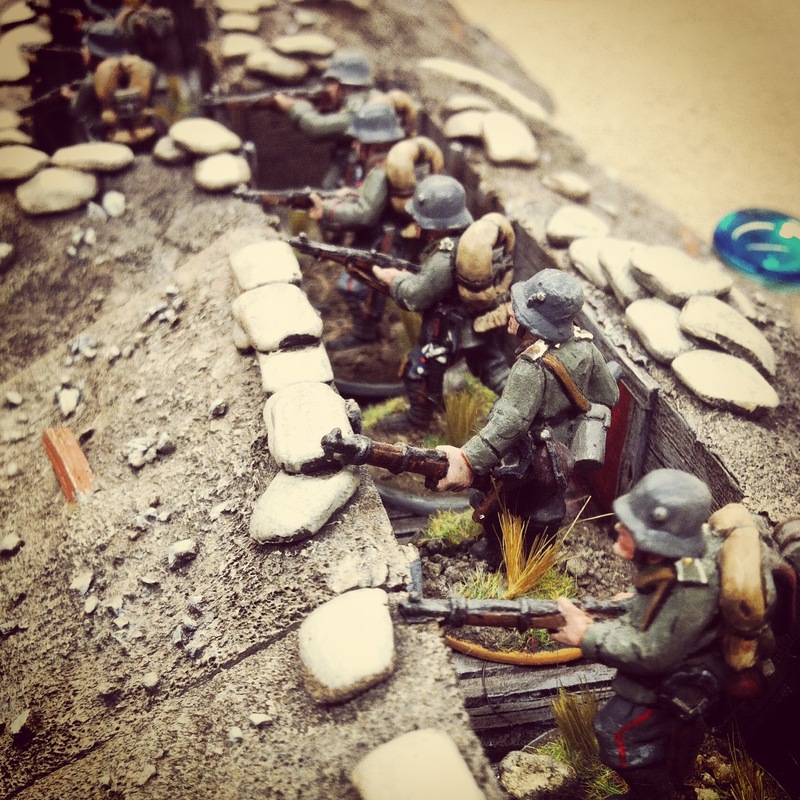 We unpacked over six feet of beautifully modelled trench works that had laid too long in storage and set up a gorgeous collection of 28mm WWI German and Canadian troops from Great War Miniatures. The three of us new to the rules divided the Canadians among ourselves with four rifle and machine gun squads, a grenade-armed bombing party and a Vickers machine gun to our right. Facing us across the cratered and barb-wired field was two lines of German trenches initially defended by two teams of Germans and a MG 08 on their right flank. The level of Canadian victory would be measured by the capture of the German front line, rear set of trenches or the treeline beyond in a ten-turn game. 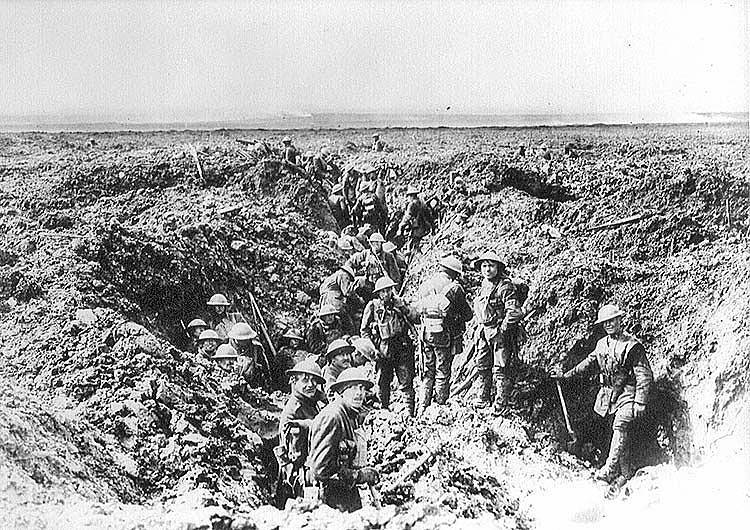 The Canadians initially plotted four artillery targets along the front and rear trench lines. After the starting German deployment, we rolled off for the artillery bombardment which we had luckily ranged-in directly on the German rifles and machine gun on the front line. Unfortunately the dice were not with the Canadians, and all four artillery shots missed. From there, the Price of Glory rules progressed simple enough with a D10 roll-off for initiative which the Canadians won and began their advance. Teams alternate on each side of the table taking move, fire or melee actions with short movement of 3″ allowing for a full rate of fire, 6″ at fire at half-rate and a 9″ sprint allowing for now firing. As the first few turns elapsed, the Canadians at the right slowly advanced from crater to crater as they took heavy fire from the German rifles and machine gun. 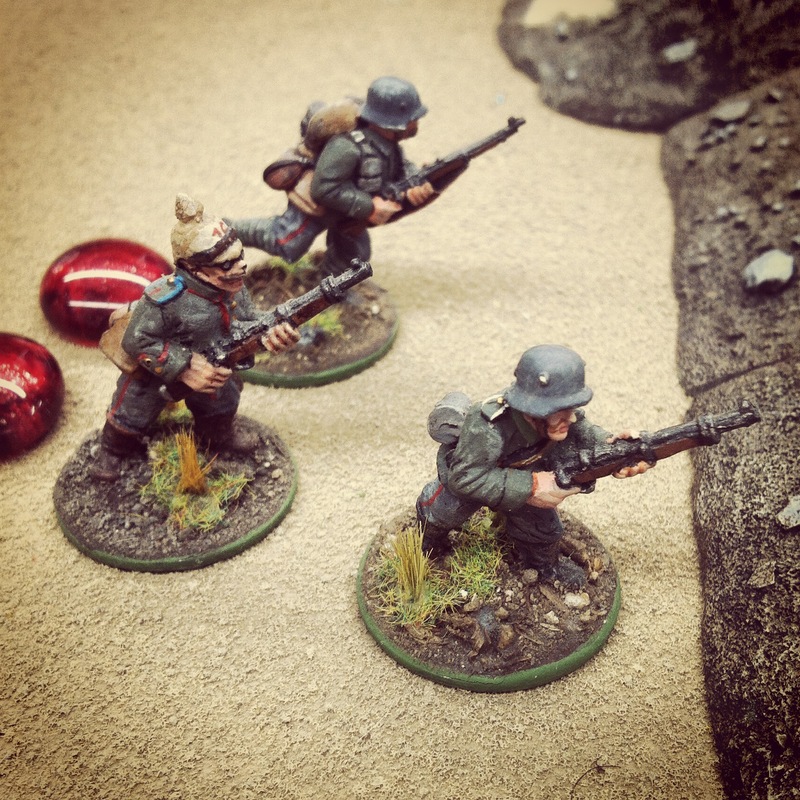 Defending from the trenches, the Germans were a hard target with only a “1” result counting as a hit on the fistfuls of D10s being thrown. In the rules, a team taking fire must also roll a D10 morale check or become suppressed. Morale rating is based on the command strength of the squad, with squads on both sides initially beginning with two officers each at a “7” and “8” rating. A morale check equal to or less than the command rating for the squad passes and may take an action on their turn. A squad losing their morale check must use their next activation to rally. 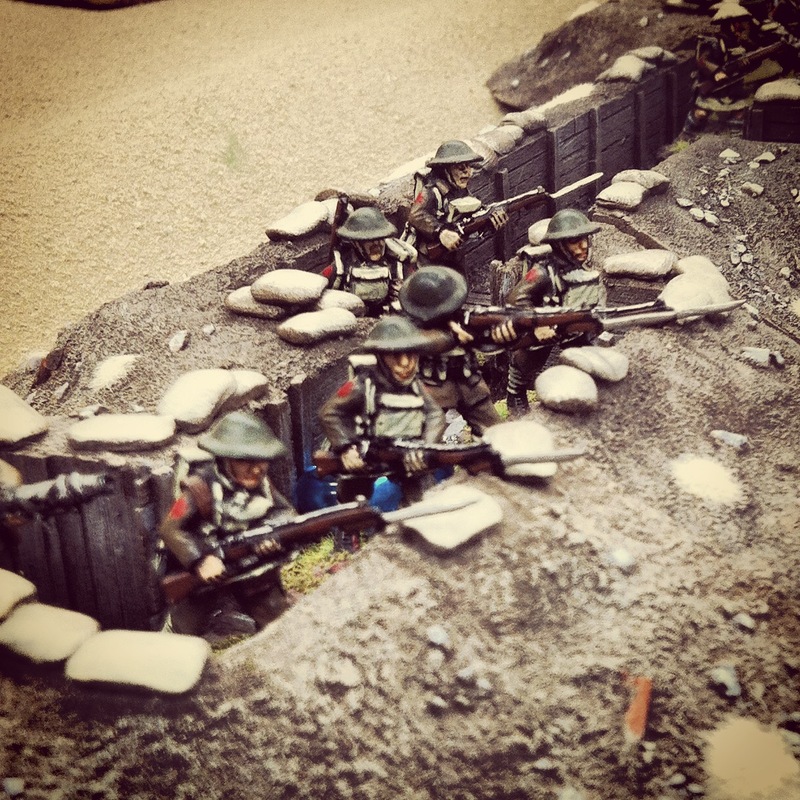 By mid-game, one Canadian squad had met their doom in the open wasteland in front of the German line and a second was torn in half as they limped to the trench line at the German left. At the center, a full Canadian squad made their way through a center gap followed by the bomb team. 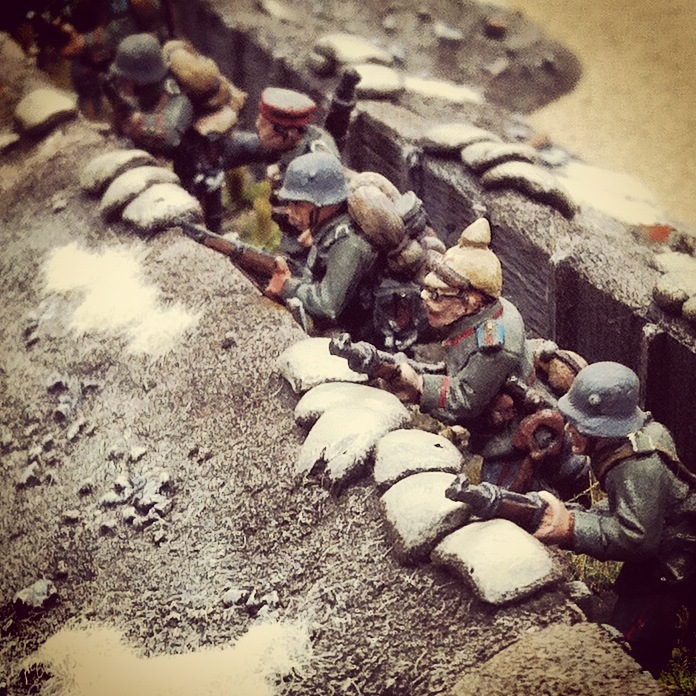 On the German right, the machine gun was eliminated and a final squad of fresh Canadians made way for the trenches. The Canadians continued to win initiative roll-offs which were modified at -1 on each side for lost squads or squads failing morale checks. As the remnants of one surviving squad of Germans fled the first line of defense after losing two morale checks against the encroaching Canadians, two reserve units of Germans emerged from the woods to the rear and ran to defend the secondary line of trenches. 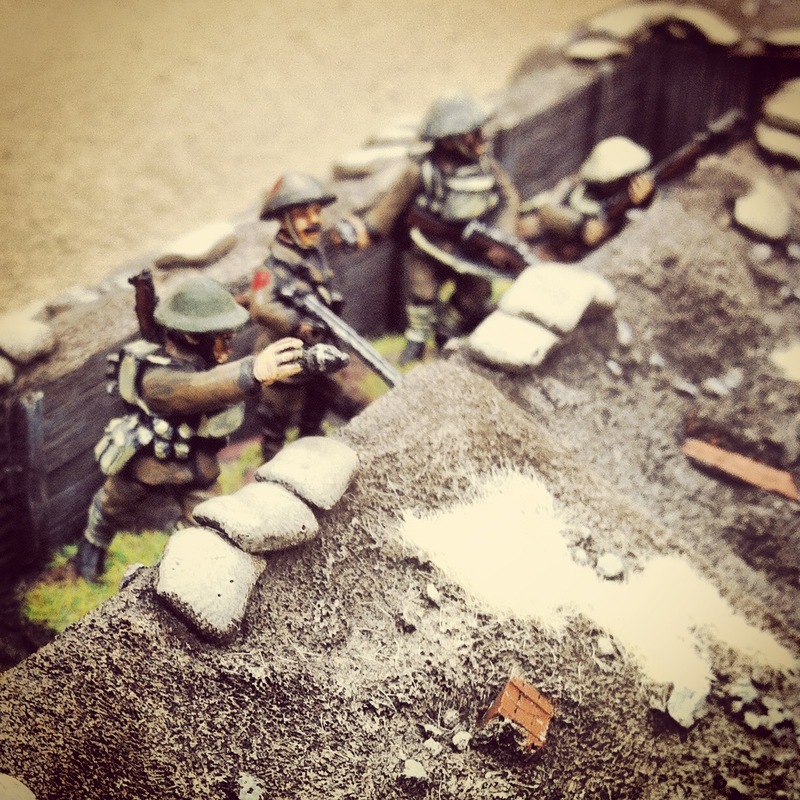 From there, the final turns of the game became a shoot-out between the two trenches with the Canadian bomb crew and a German rifle squad being nearly eliminated in the firefight. At the final turn, the Canadians had scored a minor yet costly victory by securing the first line of the German trenches for the Allies. 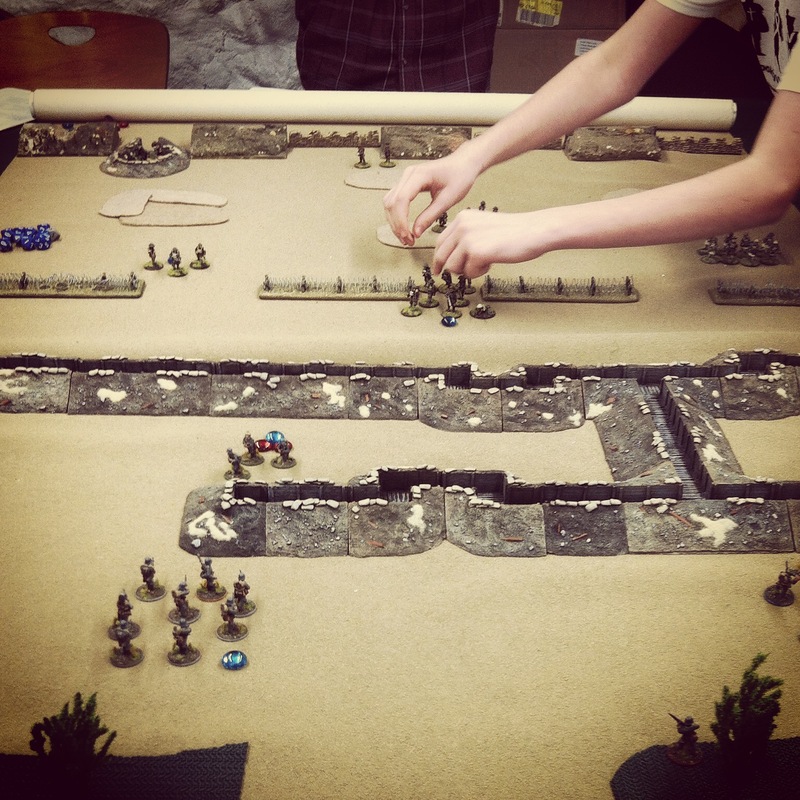 I hadn’t played a WWI game in a couple of years, and the figures and terrain at the club hadn’t hit the table in quite some time either. 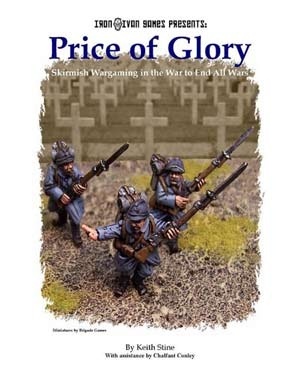 The Price of Glory rules ran fast, and we were all generally of the opinion it captured the combined fire and morale effects found during the conflict. We also agreed another larger game with a bit more complexity and perhaps some artillery, armor and cavalry would be in order. With many worldwide commemorations this year of the Great War’s 100th anniversary (including an excellent site from the Imperial War Museum), is was good to make time for our own journey back to the Western Front. Good stuff. I visited Vimy Ridge in 2010, and it is a very moving battlefield.